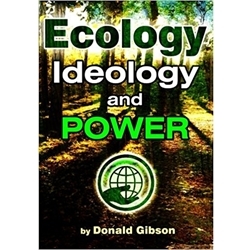 This book warns against the effort to sell a reactionary economic, political, and social agenda dressed up as concern for and protection of the environment. The author is in no way opposed to any genuine ecological concerns, but this work demonstrates that what we call “environmentalism” is primarily an expression of the world view of segments of the world’s upper class. When they talk to us about pollution, resource scarcity, and overpopulation, they are actually talking about their own fears and hatreds of the common people, and their ambitions for themselves. Whatever label we affix to today’s environmentalism, it is certain that it carries over into the 21st century the same kinds of reactionary, aristocratic, and elitist tendencies evident two centuries ago in England and Germany. Such tendencies also emerged in a significant way in the late 1800s in the United States, involving Malthusianism, social Darwinism, and the eugenics movement. 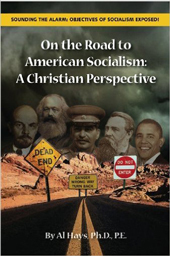 The new book On the Road to American Socialism: A Christian Perspective, by Al Hays, Ph.D., PE, reveals to us that socialism is the indisputable cause and the vehicle for our national problems of today. From a degraded, coarsened culture to freely allowing illegal immigration to the abysmally poor performance and results of our public schools, Hays shows these issues bear a relationship to the stated goals of socialism. Most Americans know little of socialism, nor do they care. 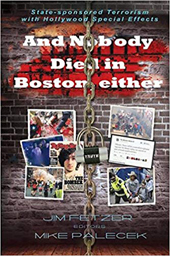 Yet all of the injustices and unlawful practices discussed in this book are shown to be the secret goal of socialists: To destroy our nation financially and culturally, as advocated by Italian socialist Antonio Gramsci, and to enslave us all with totalitarianism and pure socialism. This author has discovered that socialism began with Karl Marx secretly as an expression of his intense hatred of Christ and His Gospel, which explains the fierce anti-Christian bias prevalent today in America and elsewhere that reigns in the media. 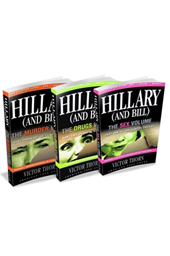 Ample evidence is provided in the pages of this book to prove from original source documents that socialism deliberately intends to do evil in the name of good. Specifically, it seeks to abolish, destroy or weaken these vital human institutions: private property, capitalism, freedom, individuality, nationality, the traditional family, religion, morality and eternal truths. Thus, Hays shows us that socialism is the animating vehicle for almost all human evil in its insane desire to control others—because socialists cannot control themselves. 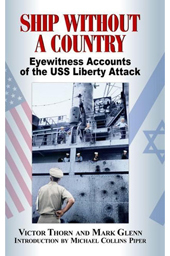 Hays’s book is written from a Christian perspective for many reasons. First, it is because our nation did much better beginning with a strong Christian basis than we’ve done since then under secular humanism. The church provided a moral basis then, although imperfect, that served as a binding agent for our early culture and government that is totally absent today. Secondly, Christianity asks us to individually represent Christ in the real world. Today, the church has been slowly liberalized with its impact greatly diminished when it comes to government and culture. And it’s obvious that the media greatly assists in this unfortunate outcome. As everyone knows, we face an overwhelming variety of national problems, such as our nearly infinite public debt, our Mideast wars that accomplish nothing of value to America, huge unemployment, rampant abortions, illegal immigration and deliberate media and government vilification of law-abiding Americans like tea party members and Christians. Hays contends that Christians, pastors and churches must especially become educated in these matters and become active to restore this nation. Otherwise the Gospel of Christ will be greatly curtailed. So, he concludes, we must act now—or go down to slavery.